It’s just as it sounds: A discussion of the unexpected event or challenge that follows one train of thought to its logical conclusion by asking “Why?” 5 times to get to the root of what happened. But it’s also a lot deeper than that, too. Let’s take a look at the origin and history of this unique process, and I’ll tell you a bit about how it works for us at Buffer—and how it could work for you, too. At our startup, we perform a “5 Whys” after something unexpected has occurred—and that means we perform them a lot! I found about 20 “5 Whys” notes session in Buffer’s Hackpad account. ‘Fires’ of various sizes are inevitable—and probably the only constant in the life of a startup. Want to try it for yourself? Here are the 5 main steps to the the 5 Whys. As soon as the problem or situation is identified (and all immediate concerns are dealt with), invite anyone at all on the team who was affected or noticed the issue to be involved in a 5 whys meeting. As a remote team, we hold ours via Google Hangout. The 5 Whys master will lead the discussion, ask the 5 whys and assign responsibility for the solutions the group comes up with. The rest of those involved will answer those questions and discuss. In our experience, anyone can be a 5 Whys master—there are no special qualifications, and it doesn’t have to be the leader of the project or the originator of the issue. We’ve also found that it’s a good idea for the 5 Whys master to take notes for the meeting, unless he or she would like to assign someone else to this. 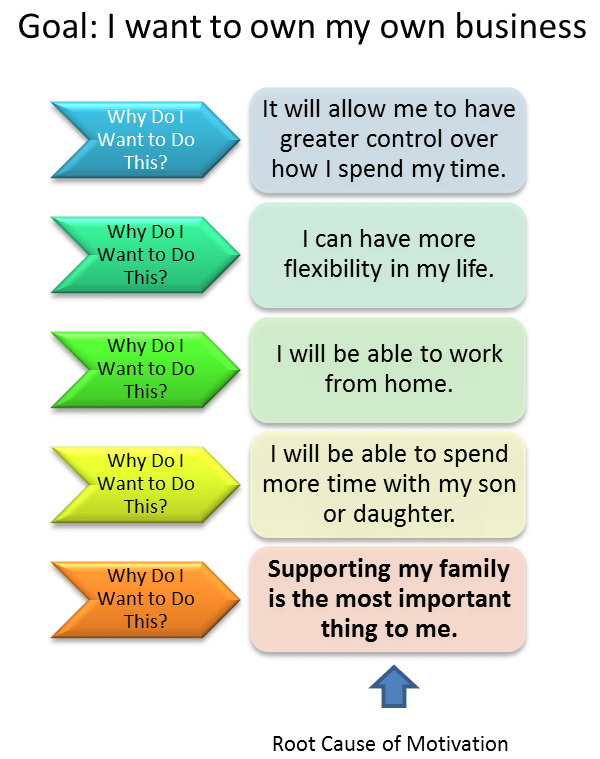 Dig at least 5 levels deep into the issue with 5 levels of “whys.” This seems like the simplest part, but can in fact get a bit tricky! Getting the right question to start with, the first why, seems to be the key. When we conduct our 5 Whys, it can feel natural and almost beneficial to go down all potential paths and be really comprehensive. However, this can widen the scope of how much learning and corrective actions needs to occur. This is meant to be a ‘lean’ process in which picking one path allows us to perform just the amount of corrective actions needed to solve a problem. Together, we work through each of those 5 whys and discover actionable steps that have been or will be taken. At the end of the exercise, we go through each why question-and-answer pairing and come up with 5 related “corrective actions” that we all agree on. The master assigns responsibility for the solutions to various participants in the discussion. After each 5 Whys process, someone involved in the meeting will write down what was discussed in the clearest, plainest language as possible. Then we add it to our internal library of investigations and—in one of the most important steps of the whole process—email the whole team with the results.